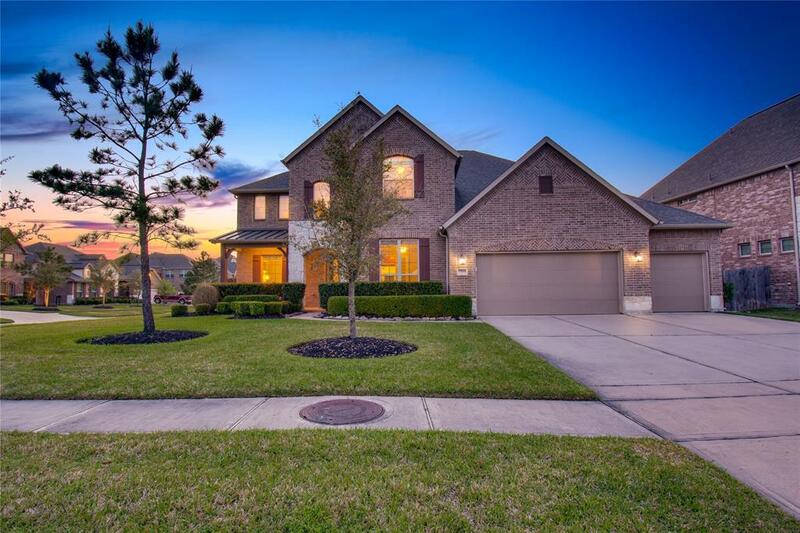 Stunning 5 bedroom home situated on an oversized corner lot in the peaceful Summerwood community. 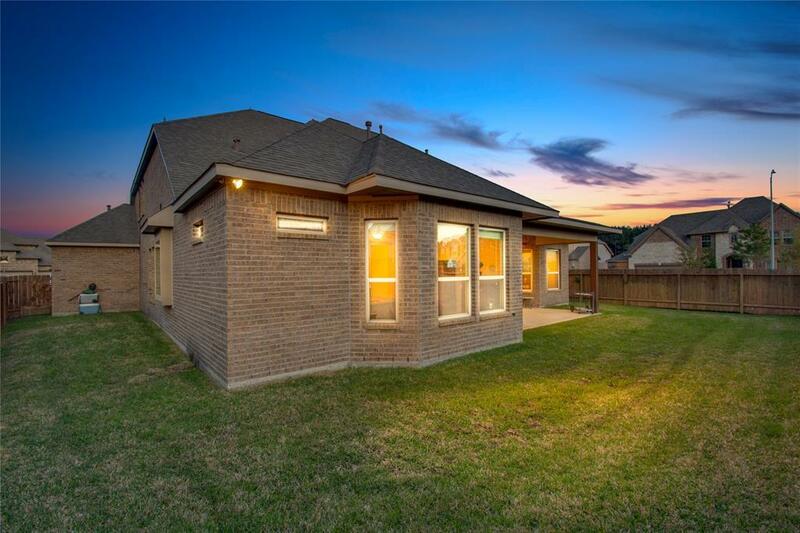 Stylish arched walkways, beautiful tile floors and recessed lighting throughout. 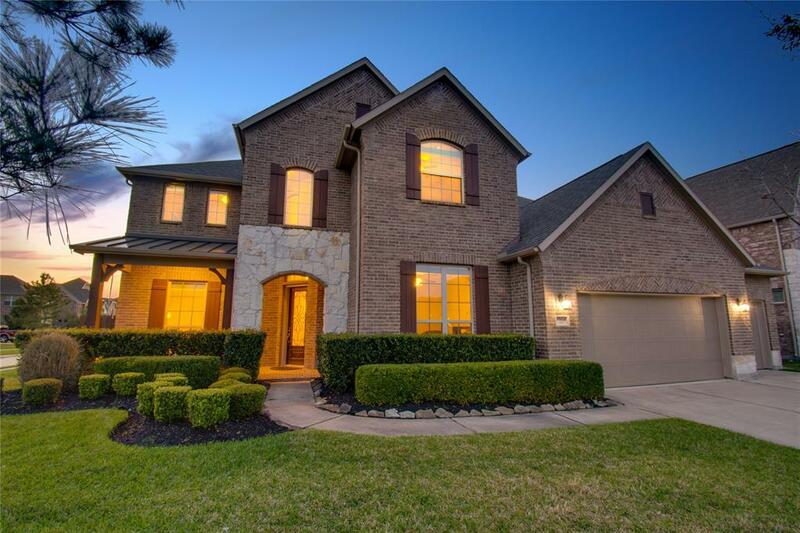 Impressive floor plan includes a study with coffered ceiling, formal dining w/ wine grotto, upstairs media room with wet bar and game room large enough for a pool table. Designed for entertaining with open concept living, kitchen and breakfast areas. Spacious living room boasts a wall of windows providing plenty of natural light, two story ceilings and a cozy fireplace. Island kitchen is complete with granite counter tops, stainless appliances, and breakfast bar. Master suite features trey ceiling, dual vanities, frameless shower, 2 walk in closets with built in shelving and garden tub. 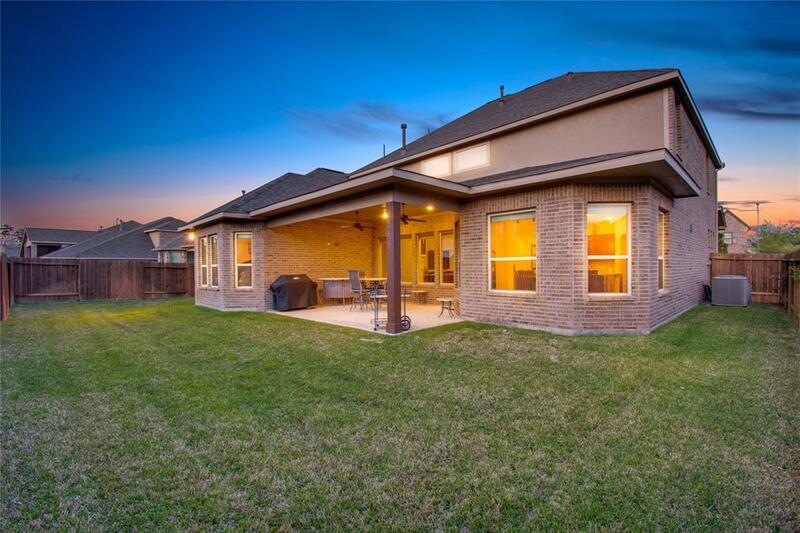 The large backyard is perfect for outdoor entertaining with extended covered patio. Residents here will enjoy a community pool, park, tennis courts and clubhouse. Schedule your showing to view this exceptional property today!